Having won the series already, India will host Windies in the last T20I. The MA Chidambaram Stadium will host the inconsequential 3rd game. Despite winning the series, the Men in Blue would love to enforce a clean sweep. However, for the visitors, it’s a matter of pride. 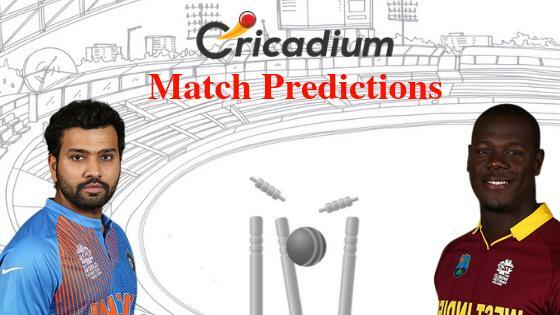 Keep reading to find out the India vs Windies 3rd T20I Match Prediction. The hosts have been heavily dominant so far. Where the visitors showed some sort of fight in the first game, they were blown away in the next. India’s stand-in skipper Rohit Sharma has led the batting while the bowlers have been effective. Rohit scored the record 4th T20I century and once again, the focus will be on him. It’s an opportunity for India to test the bench strength. They are expected to provide opportunities to the benched players. But Windies have a lot to think upon. Their batting has been the worry. Even if India goes in with a tinkered squad, they stand a better chance to win. India vs Windies 3rd T20I Match Prediction: India rested three players for the last game and will be experimenting to test the bench strength. Despite that, the hosts will be the favorites due to the abysmal performance of the visitors.